I was designer and art director on this project. 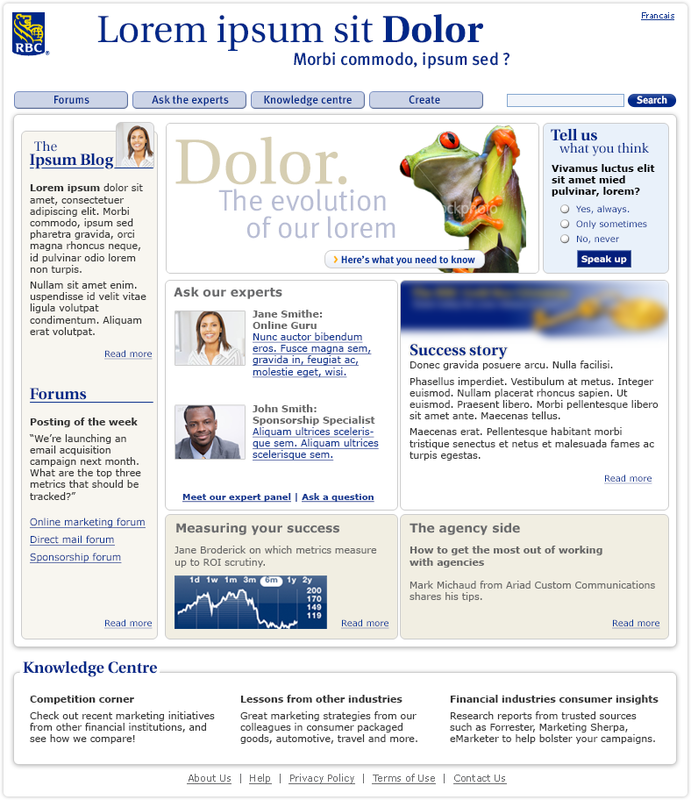 This website mockup content was under NDA, so all images and text have been replaced. This internal site was intended as a resource and communications portal for all levels of bank employees. It housed official company messages, resources, and articles. I designed a private hub that fundamentally differed from the bank’s outward-facing customer website templates. The bank needed a way to engage their new, younger generation of employees. Ads would target staff on the company network, connecting them to the information they needed.